Yay! Microsoft Implements My Advise on Selling Windows 8! Last year everyone was worried that Windows Phone was not getting the traction it deserves. Phone houses weren’t selling these devices, even actively turning potential buyers away from Windows Phone. It was absolutely frustrating. How is it possible that Windows Phone with such gorgeous tiles be so abominably misunderstood by the populace? Then it dawned on me! 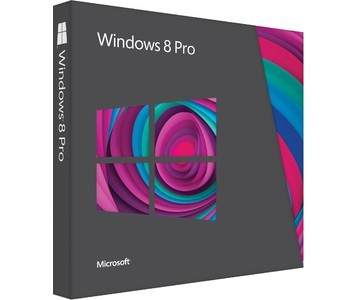 At the time of the writing of that post, Microsoft just released the Developer Preview of Windows 8. So I decided to title the post “Selling Windows Phone and Windows 8”. The beauty of Windows Phone and Windows 8 is also their undoing. Windows Phone and Windows 8 are not devices you just look over for 5 minutes and conclude your opinion. Metro devices have to be used to be understood. You need to have your data on it and see how it all connects. So I proposed to Microsoft to create a fictive personal to sell both Windows Phones and Windows 8 devices. This persona should have normal data that everyone in their daily life have. Mails, SMS, Call history, Pictures, Music, Video etc. You know, the kind of data you accumulate after months of using a device. With this data, a seller can demo the device using this data so that a potential buyer will then understand what Metro is all about. Nothing beats a Tile popping up your messages and notifications! And today, I have just read a post on NeoWin that Microsoft is bursting out Windows 8 with fictive personas built-in, and has trained sellers in its Stores to know these fictive accounts inside out. Awesome! Nice job Microsoft. Can I now have my mention? everyone would say the same but true dat!